Imagination Technologies , the company behind Pure Digital , is to launch a music download service that allows you to buy music you've just heard straight from a DAB radio. Together with UBC Media Group , Imagination Technologies will offer an iTunes -like DAB and internet digital radio platform equipped with a 'buy now' facility. Using UBC's Cliq instant music purchase technology, you'll be able to click a button to buy and download tracks from selected DAB radio stations while you're listening to them. You can then transfer the tunes to your computer or MP3 player. Cliq works by sending out an encrypted version of the song a radio station is currently playing, along with the code needed to allow the listener to buy it. 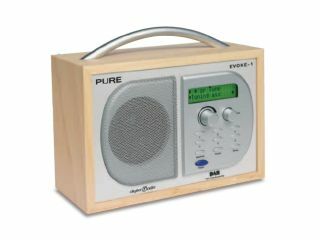 Pure Digital will bring out a range of new DAB radio devices that support Cliq technology in the coming months, Imagination Technologies said. Since Imagination Technologies also makes DAB radios for other brands, there's a chance that this service could reach a broad range of DAB listeners. It will also provide part of the technology infrastructure on which the service will run. Imagination Technologies and UBC will share the revenues of music bought via digital radio devices.